What Can I do About An Unreasonable Increase in Rent? Someone asked me this question yesterday and, as with most questions on the application of law in Nigeria, the legally accurate answer frequently varies from the practical answer. In this instance, I had no clue what the legal answer was and promised to respond to the asker today (after looking it up in the office). Under the Lagos State Tenancy Law of 2011, it turns out you can make a complaint to the Rent Tribunal about an unreasonable increase in rent (“…apply to the Court for an Order declaring that the increase in rent payable under a tenancy agreement is unreasonable.”). What will the court look at in determining whether or not the increase is unreasonable? 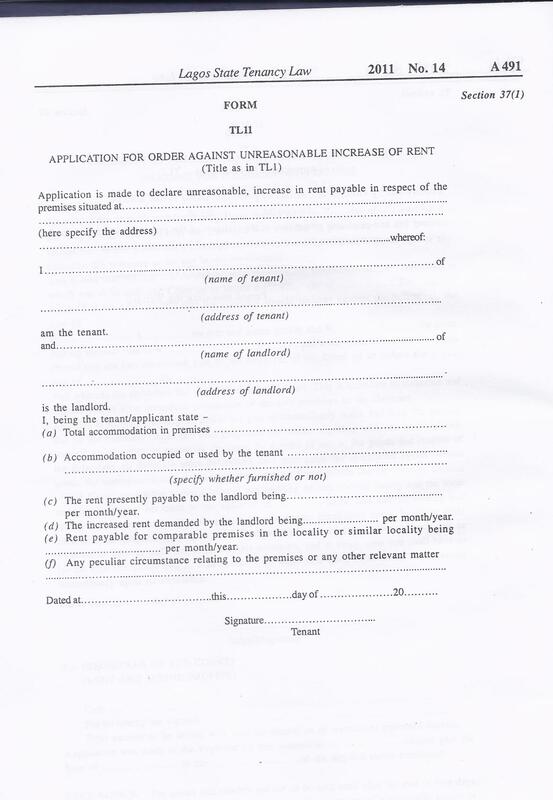 The general level of rents in the locality or a similar locality for comparative analysis, mostly. The court may also take evidence of witnesses and consider any special circumstances relating to the rented property. If the court agrees that the increase in rent is unreasonable, it may order the increase in rent to be changed to a specific amount. 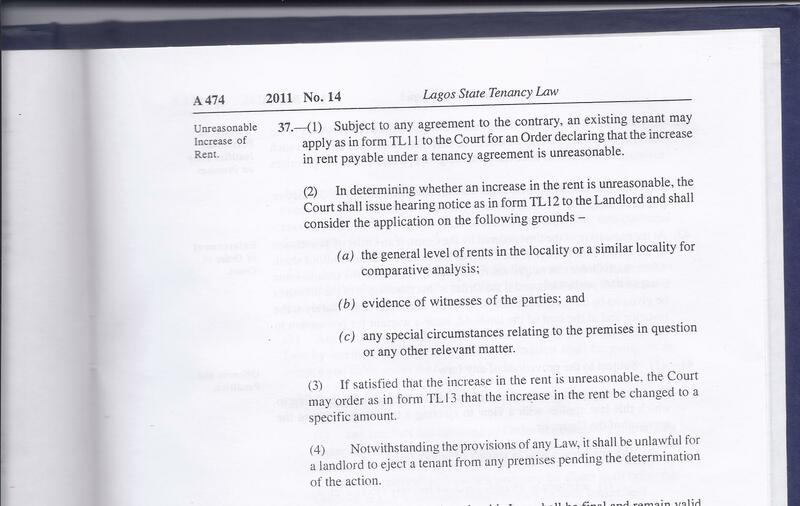 Finally, to the benefit of the tenant, it is unlawful for the landlord to eject a tenant from the premises while the proceedings to determine the reasonableness of the rent increase are pending. The practical answer? Litigation should only be resorted to where negotiations have failed. ← Is “draconian” not necessary?